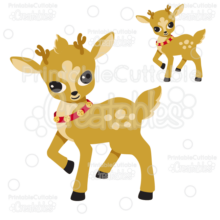 SVG cutting files – Separated layers for use with Silhouette Studio Designer Edition, Cricut Design Space, and other cutting machine software – no tracing needed! These Christmas Monogram Frames Free SVG Files are perfect for personalizing t-shirt, hot cocoa mugs, handmade holiday cards, handmade ornaments, and more! This free SVG monogram frame bundle features a Christmas Tree, Christmas Stocking, and Ornament designs, each as circle monogram frames, split frames for a name, and the full shape! 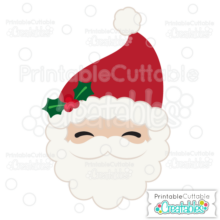 These Free Christmas SVGs layered by color – perfect for both paper and vinyl projects on your Silhouette Cameo / Portrait, Cricut Explore / Maker or other electronic cutting machine with no tracing needed! 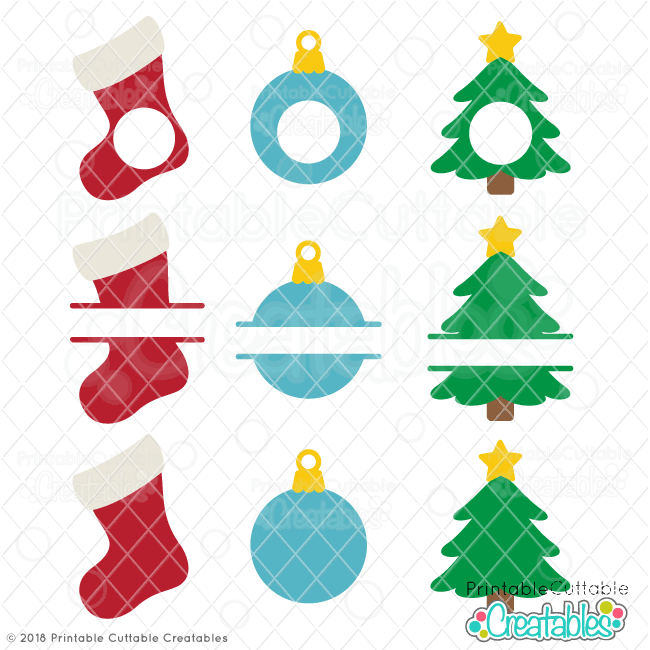 Also included are 9 high resolution 300dpi PNG Christmas Monogram Frame Free Clipart Files with transparent backgrounds, ideal for printable wall art, digital scrapbooking, and other printable projects! 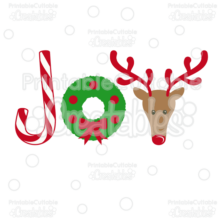 The Christmas Monogram Frames Free SVG File also makes great vector design elements for web and graphic design projects and are compatible with Adobe Illustrator, CorelDraw, Inkscape, and other vector programs that open SVG files.